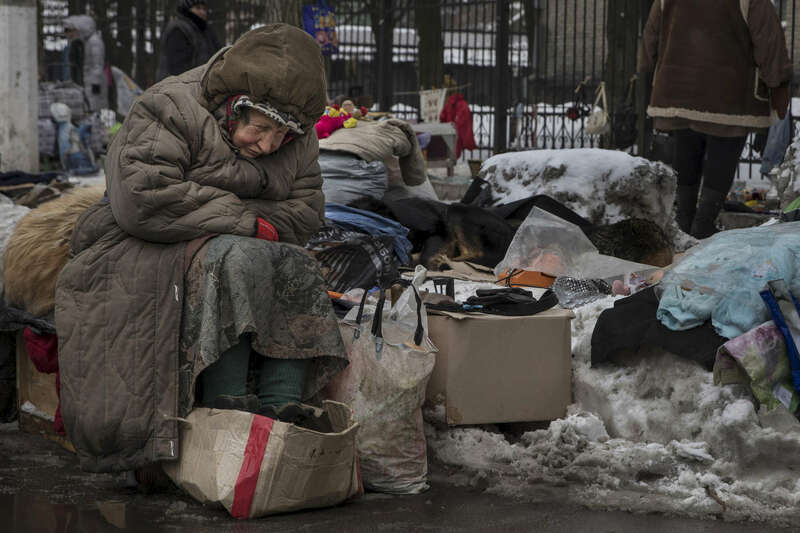 Donetsk, People's Republic (DPR) : Galina Mikhailovna , age 79, waits for customers at a second hand market in suffering during a cold winter day in February. She sells used goods that others give to her in the market for pensioners, sits in the snow with some street dogs. She has no pension, she never went to Ukraine to register, claims she can‚Äôt afford to travel to the other side every 57 days which is required by the government. She is in debt so can‚Äôt afford to pay for heat and water in her apartment anymore.